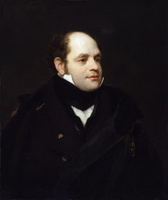 BAYFIELD, HENRY WOLSEY, naval officer and hydrographic surveyor; b. 21 Jan. 1795 in Kingston upon Hull, England, son of John Wolsey Bayfield and Eliza Petit; m. 2 April 1838 Fanny, daughter of Charles Wright, RE, and they had four sons and two daughters; d. 10 Feb. 1885 at Charlottetown, P.E.I. It is not known how Henry Wolsey Bayfield was educated as a boy. At age 11 he entered the Royal Navy as a supernumerary volunteer 1st class. The boy “displayed presence of mind that would well become the greatest warrior” in a naval battle near Gibraltar in 1806 and was promoted volunteer 1st class. He was made midshipman in 1810 and master’s mate in 1814; he served in the Mediterranean, off the coasts of France, Holland, and Spain, in the West Indies, and at Quebec and Halifax before joining the British flotilla on Lake Champlain in October 1814. Although promoted lieutenant in March 1815, he was acting as midshipman on the Champlain when he was transferred in January 1816 to the Prince Regent, stationed at Kingston, Upper Canada, naval headquarters for the province. There he became acting master and later acting lieutenant on the sloop Star, a vessel employed in the Royal Navy’s surveying service on the Canadian lakes under the command of Captain William Fitz William Owen*. Bayfield assisted Owen in the summer of 1816 in the survey of Lake Ontario and the upper St Lawrence from Kingston to the Galop Rapids at Edwardsburg (Cardinal), Upper Canada, and became lieutenant and assistant surveyor on the Star in September. This was his training period in nautical surveying and Owen commented on his remarkable talent for the work. When the Star was paid off that fall, Owen persuaded Bayfield to remain as assistant surveyor for the projected surveys of lakes Erie and Huron. The following June, when Owen returned to England, Bayfield, then 22, was placed in charge of the surveys. For financial reasons the Admiralty greatly reduced the surveying establishment. Bayfield had only one inexperienced assistant (Philip Edward Collins, midshipman) and two small boats. They completed the survey of Lake Erie in 1817, began work on Lake Huron that fall, and in 1820 made Penetanguishene their headquarters. The large number of islands and bays in Lake Huron and Georgian Bay made this survey a four-year endeavour. On one stretch of the north shore, Bayfield reported that “we have ascertained the Shape, size & situation of upwards of 6,000 islands, fiats and Rocks.” Altogether, 20,000 islands, including Manitoulin, were charted in the Lake Huron survey. On this survey, and later on Lake Superior, the surveyors had to take provisions for six weeks at a time in their two small boats. Bayfield slept on a buffalo robe under the boat’s mainsail in all kinds of weather. On warm summer nights the men were plagued by mosquitoes, and at times they suffered from ague and scurvy. Early in 1823 Bayfield and Collins sailed for Lake Superior in a schooner, the Recovery, chartered from the Hudson’s Bay Company, with Bayfield as acting commander. He found it quicker, however, to use the two small boats for surveying and to employ the schooner mainly for the transport of provisions. In three summers Bayfield and Collins circumnavigated Lake Superior, examining all its bays and coastal islands. Their winter headquarters were in Fort William (now part of Thunder Bay, Ont. ), where in May 1825 they met Captain John Franklin* who had arrived to begin his second Arctic expedition. Bayfield returned to England in the fall of 1825 and spent nearly two years completing the charts of the three lakes, annotating them with comments on coastal features and geological formations. He also prepared plans from his own surveys of the connecting waters (Lake St Clair and River St Clair, Detroit River, St Joseph Channel, and St Marys River) and of Penetanguishene and some other harbours. Bayfield was promoted commander in 1826. 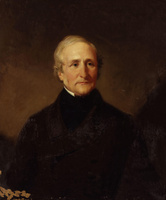 While in England he persuaded the Admiralty that a survey was required of the St Lawrence River and Gulf, to be connected with the chain of surveys from Lake Superior eastward. He argued that there was no chart of the river between Montreal and Quebec, and that from Quebec to Anticosti Island there were only the “very incorrect” charts made more than 60 years earlier by Colonel Joseph Frederick Wallet DesBarres*, based on the surveys of Samuel Jan Holland*. (Charts had been made of the Gulf of St Lawrence in the 1760s by James Cook*.) The Admiralty appointed Bayfield superintendent of the St Lawrence survey in 1827. He arrived in Quebec in September, bringing with him two assistants, Collins and Augustus Bowen, midshipman. Later Dr William Kelly joined the service as surgeon. Bayfield contracted for a 140-ton schooner, the Gulnare, fitted with two small boats, to be built in Quebec to his specifications, for hire to the Admiralty. This was the first of Bayfield’s three survey vessels named Gulnare, launched in 1828, 1844, and 1852, of increasing size and strength. In addition Bayfield had two six-oared cutters built for the Admiralty in 1828. Other vessels and small boats were added in subsequent years. Bayfield devoted the next 14 years to a survey of the entire north shore of the St Lawrence River. Also systematically charted in these years were Lac Saint-Pierre, Quebec and Montreal harbours, the navigable portion of the Saguenay River, the northern Gaspé coast, the Strait of Belle Isle, the coast of Labrador from Belle Isle to Cape St Lewis, the Belle Isle coast of Newfoundland, Anticosti, the Îles de la Madeleine and other St Lawrence islands, Baie des Chaleurs, the New Brunswick coast of Northumberland Strait, the Miramichi, Restigouche, and Richibucto rivers, and the main harbours along these coasts. During the winter months in Quebec the surveyors plotted their observations of the previous season, then sent the plans and charts to the Admiralty Hydrographic Office in London to be engraved. Bayfield examined the proof sheets with the eye of a perfectionist, insisting on accuracy of location and name, good style, and the most appropriate scale for each chart. He envisaged the charts as guiding ships to safe anchorage “instead of beating about the Gulf in thick fogs and uncertain tides as they hitherto have done,” with resulting shipwrecks. In summer the surveyors worked from daylight to dark, except when prevented by strong winds or fog. On one occasion, Bayfield and an assistant were marooned five days in a storm on a barren, granite island off the northeastern shore of the St Lawrence. “We began to day to catch Puffins & young Gulls & to collect muscles & clams to make our provisions run out as long as possible,” Bayfield recorded on the fifth day. He complained frequently of mosquitoes; on one August day he recorded: “Never saw the Moschettoes & Black Flies more thick, their bites covered us with blood while observing & we could not open our mouths without swallowing them. The torment of them was beyond description.” On the St Lawrence coast in 1833 Bayfield encountered John James Audubon who was studying and sketching the waterfowl for his Birds of America. A tragic event occurred in 1835 when Lieutenant Collins was drowned while surveying the Îles de la Madeleine. Collins was replaced by Lieutenant John Orlebar, who carried on Bayfield’s work after his retirement. Bayfield (promoted captain in 1834) was frequently consulted by the Admiralty and the government of Lower Canada on problems concerning navigation. In 1829 he testified before a committee of the assembly of Lower Canada that although there were three navigable channels in the St Lawrence River, the river pilots knew only one. Subsequently, in order to qualify, pilots were required to be able to take ships through each of the channels. When the rebellion in Lower Canada broke out in November 1837, the British government asked Bayfield to advise on the earliest date in the spring by which British troops would be able to land at Quebec. He was consulted on the best positions for lighthouses on the coasts and islands of the St Lawrence, and later on the coasts of the Maritime provinces, and at Cape Pine, Nfld. When the question of improving the St Lawrence ship channel in Lac Saint-Pierre came up in 1846, Bayfield was summoned to Montreal to advise the Canadian government on the best course for the channel, but because of the cost of his proposals they were only accepted in part. Many aspects of science interested Bayfield. Though he lacked formal scientific training, he was observant, had an analytical mind, and read widely in scientific literature. He was one of the first to collect samples of rocks and minerals from Lake Superior; these were forwarded to the British Museum. He presented papers on the geology of Lake Superior and on coral animals in the Gulf of St Lawrence to the Literary and Historical Society of Quebec of which he was an original, and later an honorary, member. Bayfield contributed sets of geological and mineral specimens from the north shore of the St Lawrence and specimens of organic remains from the Mingan and Anticosti islands to this society and to the Geological Society of London, and a set of the mineral specimens to King’s College, London. Papers by Bayfield on the geology of the north coast of the St Lawrence and Labrador appeared in publications of the Geological Society, and he published articles on navigational subjects in Nautical Magazine. Bayfield practised astronomy in connection with his work, and he was keenly interested in such phenomena as tides, mirages, and the aurora borealis. Before establishing the first magnetic observatory in Canada, at Toronto in 1839, the Admiralty consulted him about the best location. (He recommended Toronto rather than Montreal or Quebec because of possible magnetic influence by mountains near the latter locations.) Five years later, he was consulted again when the first observatory in Quebec (built in 1854) was being considered. 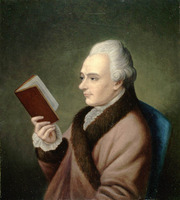 Bayfield was a fellow of the Royal Astronomical Society, a member of the Société géologique de France, and an honorary member of the Canadian Institute at Toronto. In 1841 Captain Bayfield transferred his headquarters to Charlottetown, the centre of his future surveying activities. Before Bayfield left Quebec City, John Stewart*, the master of Trinity House (the body that regulated St Lawrence shipping and the conduct of river pilots), presented him with a testimonial expressing appreciation of his “talents and scientific acquirements” and thanks for the assistance he had rendered. Henceforth, Bayfield worked mainly on the coasts of Prince Edward Island and Nova Scotia. His staff gradually increased to include three assistant surveyors, a draughtsman, and a medical officer. One or two of his assistants customarily went off in surveying boats for a few days or weeks to work on a survey while Bayfield laboured elsewhere, but he was always in command. He gave his surveyors explicit instructions and they reported to him frequently in person or by letter. He set high standards which he expected his men to follow. He had little patience with carelessness, inaccuracy, or indolence, but he showed appreciation for good work and did not hesitate to recommend his assistants for promotions. One of Bayfield’s special concerns was to obtain measurements of the distances between the meridians of Quebec, Halifax, and St John’s. After establishing the longitude of Quebec, he made chronometrical measurements of the distances between the three centres. With the assistance of W. F. W. Owen, who in the 1840s was surveying the Bay of Fundy, and the cooperation of American authorities (the Cambridge Observatory at Boston and United States Coast Survey), Bayfield established the meridian distance between Boston and Halifax. In 1844 he and Owen “connected” their respective surveys by measuring with rockets the meridian distance across the Nova Scotia isthmus from Baie Verte to the Cumberland Basin. By 1848 Bayfield had surveyed the entire coastline of Prince Edward Island including its bays and deeply indented harbours, the Northumberland Strait coast of Nova Scotia, and the northeastern extremity of the Gaspé. In the next five years, he concentrated on a survey of Cape Breton Island begun in 1847, its coast and harbours, the Strait of Canso, Isle Madame, and the Bras d’Or Lake with its bays and channels. At the request of the Admiralty Bayfield went to Sable Island in 1851 to verify its position and make recommendations for a lighthouse. Bayfield’s last major project was a survey of Halifax harbour and adjacent headlands and bays in 1852–53. Afterwards, the survey was extended along the coast of Nova Scotia from Halifax to Cape Canso. From 1832 to 1855, Bayfield had worked on his Sailing directions for the Gulf and River of St. Lawrence, writing it in the winter months, chapter by chapter, and sending each chapter to be printed when finished. The work was published in three stages, in 1837, 1847, and 1857. The entire work was revised and published in 1860 as The St. Lawrence pilot. A list of latitudes and longitudes, compiled laboriously by Bayfield, was published in 1857 as Maritime positions in the Gulf and River St. Lawrence, on the south coast of Nova Scotia, and in Newfoundland. Finally, Bayfield wrote The Nova Scotia pilot in two parts (1856 and 1860). Bayfield, in declining health, retired from active surveying service in 1856 and became a rear-admiral. He was promoted vice-admiral in 1863 and admiral in 1867 and was granted a Greenwich Hospital pension of £150 annually as well as his regular pension. He lived quietly in Charlottetown until his death. Henry Bayfield was largely self-trained, but he was highly disciplined and exceptionally diligent. He was distinguished in appearance, courteous, and kindly, but formal in manner. An Anglican, he was devoutly religious (Sunday services were held on his ship), and he was devoted to his family. His service to Canada has been commemorated by plaques in Charlottetown, Owen Sound (shared with Captain Owen), and Penetanguishene, and by the adoption of his name for a variety of geographical sites in Ontario, Quebec, New Brunswick, Nova Scotia, and Prince Edward Island. The Canadian Hydrographic Service traditionally names one of its ships in his honour. Henry Wolsey Bayfield was the author of: “Notes on the geology of the north coast of the St. Lawrence . . . ,” Geological Soc. of London, Trans. (London), 2nd ser., 5 (1840): 89–102; “A notice on the transportation of rocks by ice . . . ,” Geological Soc. of London, Proc. (London), 2 (1833–38): 223; “On rating chronometers,” Nautical Magazine and Naval Chronicle (London),  (1843): 220–25; “On the errors of the sextant,” Nautical Magazine ([London]), 2 (1833): 462–66, 519–23; “On the junction of the transition and primary rocks of Canada and Labrador,” Geological Soc. of London, Quarterly Journal (London), 1 (1845): 450–59; “Outlines of the geology of Lake Superior,” Literary and Hist. Soc. of Quebec, Trans., 1 (1824–29); 1–43; “Remarks on coral animals in the Gulf of St. Lawrence,” Literary and Hist. Soc. of Quebec, Trans., 2 (1830–31): 1–7; “Remarks on the St. Lawrence,” Nautical Magazine and Naval Chronicle,  (1838): 1–8; and “Terrestrial refraction in the St. Lawrence,” Nautical Magazine, 4 (1835): 91–93. He compiled for the Hydrographic Office of the British Admiralty: Maritime positions in the Gulf and River St. Lawrence, on the south coast of Nova Scotia, and in Newfoundland . . . (London, 1857); North American lights ([London, 1847]); The Nova Scotia pilot, from Mars Head to Pope Harbour, including Halifax harbour (London, 1856); The Nova Scotia pilot, south-east coast, from Mars Head to Cape Canso . . . (London, 1860); and Sailing directions for the Gulf and River of St. Lawrence . . . (3v., London, 1837–), republished as The St. Lawrence pilot, comprising sailing directions for the Gulf and River . . . (4th ed., 2v., London, 1860). He was also one of the compilers of Sailing directions for the island of Newfoundland, the coast of Labrador, the Gulf and River St. Lawrence, and the coasts of Nova Scotia and New Brunswick to Passamaquoddy Bay (London, 1851). His maps and charts are listed in: The British Museum catalogue of printed maps, charts and plans; photolithographic edition to 1964 (15v., London, 1967), XII, columns 668, 673–76; Catalogue of the National Map Collection, Public Archives of Canada, Ottawa, Ontario (16v., Boston, 1976); Maps and plans in the Public Record Office (2v. to date, London, 1967– ), II. PAC, MG 24, F28; MG 40,12. PRO, ADM 1/573–87; 1/2544; 1/2792; 1/3444–45 (copies at PAC); ADM 9/15; 107/46: 65–66; 196/3: 115. Memoirs of hydrography, including brief biographies of the principal officers who have served in H.M. Naval Surveying Service between the years 1750 and 1885, comp. L. S. Dawson (2v., Eastbourne, Eng., –85; repr. in 1v., London, 1969), I: 72–74. Morgan, Sketches of celebrated Canadians, 480–82. W. R. O’Byrne, A naval biographical dictionary: comprising the life and services of every living officer in her majesty’s navy . . . (London, 1849), 57. Ruth McKenzie, Admiral Bayfield, pioneer nautical surveyor (Ottawa, 1976). G. S. Ritchie, The Admiralty chart: British naval hydrography in the nineteenth century (London and Toronto, 1967), x, 107, 190, 199. J. G. Boulton, “[Paper on Admiral Bayfield],” Literary and Hist. Soc. of Quebec, Trans., new ser., 28 (1908–9): 27–95. Nazaire Levasseur, “L’Amiral Henry-Wolsey Bayfield: esquisse biographique,” Soc. de géographie de Québec, Bull. (Québec), 15 (1921): 269–82. O. M. Meehan, “An outline of hydrography in Canada,” Soundings (Ottawa), 4 (1965), no.1: 5–23. Ruth McKenzie, “BAYFIELD, HENRY WOLSEY,” in Dictionary of Canadian Biography, vol. 11, University of Toronto/Université Laval, 2003–, accessed April 19, 2019, http://www.biographi.ca/en/bio/bayfield_henry_wolsey_11E.html.